Getting home should mean that it’s time to kick back, relax, and enjoy a space that’s all your own. If you’re living on floors that someone else picked out, or that have weathered with age and changes in trend, it can be hard to feel like you’re getting the most from your room. That’s why the team at Floor Designs Unlimited Flooring America offers a full line of luxury vinyl flooring in Pittsburgh, PA.
We want our customers to have complete control over the look, feel, and long-term function of their floors. Luxury vinyl does just that and so much more. With this unique material, you can craft a space that embodies your style from its very foundation. What does that look like in your home? Simple: you get the look you want, for less money and effort. Sometimes, the value isn’t solely in the price tag. Our vinyl tops the charts as one of the highest-quality options for homeowners of almost any means, and it achieves this by taking advantage of modern technology to deliver an upscale appearance without the need for extensive maintenance or bank-breaking purchase costs. It works by using high-resolution embossed or textured surfaces to create an authentic-looking emulation of materials like wood and stone. Thanks to increasingly effective manufacturing techniques, only a flooring expert is likely to even notice the difference-- and said expert would know that luxury vinyl tile and plank options are exceptional choices for the contemporary homeowner. 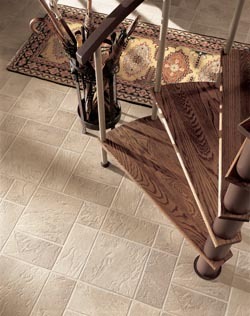 Of course, making to most of a vinyl flooring upgrade means finding the right supplier. Our store stands out because we focus on securing the best materials and supplying unmatched serve for each customer. In choosing us, you ensure that your shopping experience has the support of professionals with extensive knowledge of resilient flooring in all its forms. That translates to a more informed decision and more satisfying final results. You don’t have to take our word for it. Stop by today and learn why we have a strong reputation for exceptional value throughout the local community. Whether you’re ready to invest in vinyl or want to browse other options like our first-class carpet before you decide, we’ll be here to help you get the floors that you’ve always dreamed of. Contact us today and make your next flooring upgrade with the best in luxury vinyl. We proudly serve Pittsburgh, PA, and the surrounding areas.